It's the season of giving and for those on a budget, here are cool ideas and suggestions. When buying a gift online, please take a look at the reviews and ratings to give you a better idea of what other people thought of the product. One of the easiest gift ideas is to combine little gifts to make one cool big gift. Let's look for a theme! Features 10 tools including 3 screwdrivers, scissors, nail file, ruler, bottle opener, knife, and tweezers. 17.5' when dissembled - 3 in 1 survival kit (500 lb paracord survival bracelet, fire starter and eye knife) for camping, hiking and hunting. Great reviews! Contains a super bright, high flux LED bulb that provides 180-lumens of light output. 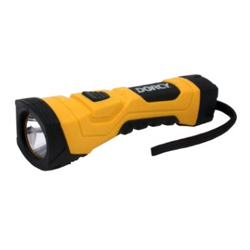 A Powerful LED Flashlight, Crank Powered, USB Cell Phone Charger, Hands Free Carabiner Clip. Powerful flashlight can be expended to use as a Lantern, with the built in hanging handle it can be hung almost anywhere. 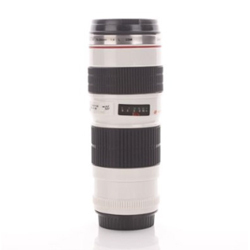 A coffee mug cup that looks like a Canon EOS Camera Lens Ef 70-200mm Stainless Steel. 3 in 1 lens (fisheye/wide angle/macro) is one of the powerful photo set Portable and detachable(just wind angle/macro lens), you can take photo with your devices at any time. New generic 8X Zoom Telescope Camera Lens Tripod For iPhone 5. 100% brand new and high quality. Instantly converts your mobile Phone into a telescope. 8x optical zoom, 18mm lens. Experiment with solar cells by building a solar powered robot, fan, solar spinner and more. This green science kit is environmentally friendly. Build 6 different models: Solar Revolving Plane, Solar Windmill, Solar Plane, Solar Airboat, Solar Puppy, Solar Car. Building these projects teach kids the benefits of solar energy while having fun. Nylon, No assembly required! Nylon frameless parafoil kites, No sticks to break!, Wind rating of 7 to 18 mph, Comes with nylon carrying case. 2 Selectable Frequencies Let's You Fly Up To 2 Helicopters At Once. Full 3 channels: up, down, left, right, forward, and backward. Expandable and Retractable net adjusts to fit any table. 2 paddles and ping pong balls., mesh storage and travel bag. 4" High. Unlike most owls, he's active in the daytime! Place in a sunny spot. His head swivels from side to side.